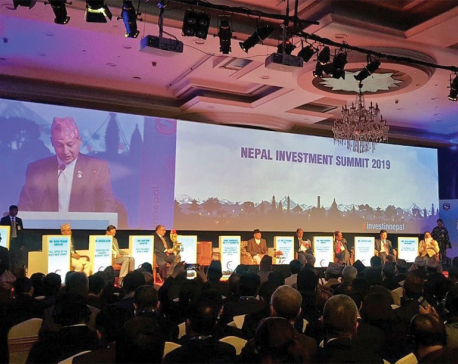 Before and even after Nepal Investment Summit 2019, there have been debates for and against such investment promotion event. Some claimed this is not the right time to organize the event when investment-friendly environment is still elusive in the country. Others went to the extent of saying that it would be a mistake to go for such summit without evaluating the achievement of 2017 summit. In my view, event like investment summit should not be considered as mere ritual especially in a country like ours which desperately needs resources and technology to deliver economic prosperity. First, Investment Summit should not be one-of event. It should be a continued process to showcase Nepal as an aspiring host country for foreign investment. Second, we need to continue our efforts to update international investors about the fresh government initiatives to facilitate investment, as many other countries are competing to woo more investors. Third, such events provide a forum to international investors to get firsthand information about the investment climate of Nepal from other investors already operating in Nepal. Forth, every such event has its own significance. The 2017 summit was aimed at spreading the message that Nepal is on the road to political stability and all political parties are committed to welcoming foreign investment. In terms of objectives, this summit was different. It came up with concrete offers of projects ready for investment. It also offered to investors an opportunity to know about profitable projects. Total 77 projects were showcased at the event whereas 17 Memorandum of Understandings (MoUs) were signed between various organizations. Investment Summit this year witnessed presence of more than 750 foreign participants representing around 300 companies from 40 countries. More than 600 participants from over 100 domestic companies were part of the two-day event. The event also featured around one dozen sessions, 39 Business-to-Government meetings and 30 Business-to-Business meetings. Thus the very question of whether the summit should have been held and whether it was the right time for the event is totally misplaced. There cannot be absolute right time for such event. Investment promotion and process of improving investment climate should go hand in hand. There are examples of countries that have emerged from internal conflicts and long political transition organizing such investment promotion events regularly to sensitize the international investors. Even countries which claim to be ‘investor-darling destinations’ have been making sustained efforts to retain their reputation. At the moment, Nepal has attained much-awaited political stability and is aspiring to become a middle income country by 2030 and developed country by 2043. No other time than this could be more appropriate to attract foreign investment. Developing countries, especially those which have emerged from years of political turmoil, are working aggressively to attract foreign investment. They have offered several incentives, favorable economic policies and legal arrangement, logistic supports and measures to ensure investment protection. Nepal cannot lag behind in this. Global foreign direct investment (FDI) has dropped by 23 percent in 2017 according to 2018 Global Investment Report of United Nations Conference on Trade and Development (UNCTAD). With global trade and investment slowing and protectionist policies being adopted by number of countries including leading economies, we can see reverse trend of globalization—a trend better known as ‘slowbalization’ in recent years. Despite this international phenomenon, Nepal enjoyed double digit growth in FDI inflow in 2017. This indicates that Nepal is gradually becoming preferred destination for investment. Political transition has ended, two-thirds majority government is at the helm, people are desperately waiting for economic prosperity, and the government is also taking measures toward that end. This makes event like investment summit even more relevant. Given the scarcity of resources—technology and human— with the government, prosperity can’t be achieved without massive private investment. Our private sector is also not strong enough to fulfill the needs. Hence, attracting foreign investors is the only option with the government to deliver development at the moment. And investment-friendly environment being developed in the country has encouraged international investors to approach Nepal to seek investment opportunities in various sectors. Due to protracted political transition, governments of the past were focused on settling political issues. Only recently our priorities have shifted to economic issues. The government established Investment Board in 2011 with key mandate to attract and facilitate investment in large scale infrastructure projects. In later years, the governments formulated plans, policies and laws to ensure better economic performance of the country. 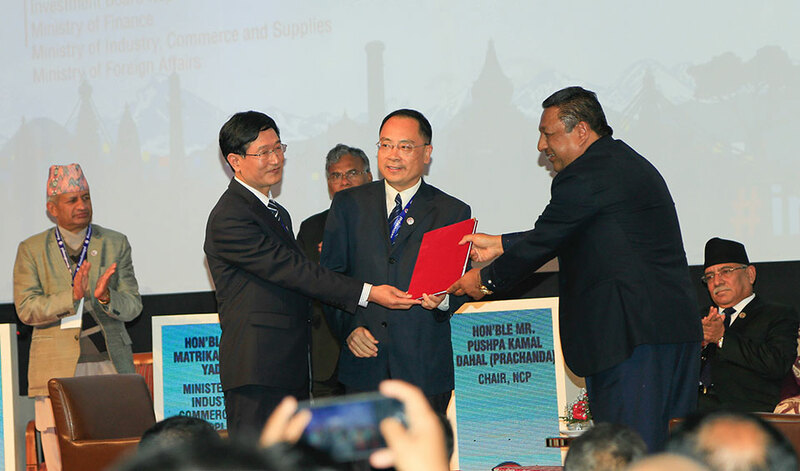 The 2017 summit was one of the key initiatives of Nepal to lure investment. The summit brought together more than 250 international investors from more than two dozen countries. Out of USD 13.78 billion worth of Letter of Intents (LoIs) from investors in 2017, around three billion dollar worth of investment is in the process of being realized in different forms. Now more international firms are showing interest. 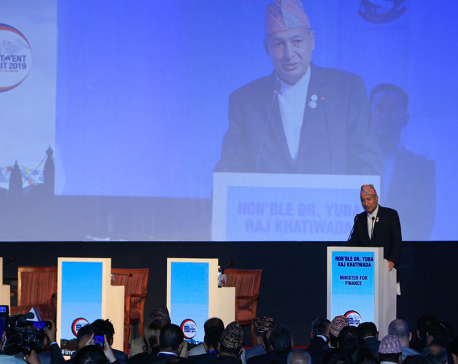 The 209 Summit successfully demonstrated Nepal’s commitment to creating favorable situation to do business. Just before the summit, the government introduced Public Private Partnership and Investment Act, Special Economic Zone Act and Foreign Investment and Technology Transfer Act. The government is also intensifying efforts for legal reforms with more than two dozen laws and policies in the process of being amended or introduced. Such measures will be instrumental in creating favorable ground to attract investment. Also the summit spread good message about improving investment climate, potential sectors of investment and comparative as well as competitive advantages to the investors. Some ready-to-invest projects showcased at the summit were central attraction for attending investors. Nepal needs to invest Rs 1770 billion annually to meet Sustainable Development Goals by 2030, according to National Planning Commission. Our small private sector and limited government resources won’t be sufficient to deliver desired development goals for economic prosperity. In the upcoming 15th Plan, the government has set the target of 10.3 percent growth and investment of Rs 9.24 trillion over five years (2019-20 to 2023-24). The Plan aims to attract 61 percent of total investment from private and cooperative sector. FDI is crucial for plucking resource and bridging the technological gap for economic development. FDI in Nepal almost doubled to a record high of $198 million in 2017, according to World Investment Report. However, World Bank’s report states that FDI inflow is just 0.8 percent of GDP, which is much lower than 2.4 percent of global average. We have sufficient chances to increase share of FDI in our GDP and thereby making Nepal more appealing for investment. Nepal stands between world’s two big emerging economies—India and China—which offer huge market for made-in Nepal products. Almost 60 percent of population falls under 15-59 year age group which means Nepal has huge working-age population. There is government stability and policy predictability and load-shedding has become a history. Nepal is way ahead in information and technology than in the past. Around 60 percent population has internet access and labor relation has significantly improved. Yet, infrastructure development is dismal in Nepal, which is why the government has put high priority to developing transport infrastructures, which will be beneficial for future investors. Besides, infrastructure sector itself is a huge potential sector for investment. Investment in hydropower sector is also becoming more lucrative with the introduction of new cross border power trade guidelines that paves the way for exporting power generated in Nepal to India and other countries, in line with the spirit of Power Trade Agreement with India. Mutual understanding on energy banking reached recently between the two countries is a positive step toward strengthening power supply within the country and expanding Nepal’s electricity market beyond the borders. There are issues we need to address in the days to come. One, we need to make sustained efforts to promote Nepal as lucrative investment destination. Timely legal and policy reforms, better incentives to investors, policy stability and predictability are the keys. Two, we should make optimum use of technology to make investor-service better, efficient and transparent. Strong coordination among relevant government agencies will be as important. The government should put in place an integrated investment promotion activity in close coordination with development partners, diplomatic agencies and private sectors. Three, burgeoning trade deficit has become a cardinal economic problem. Our efforts should also be focused on promoting export and substituting imports encouraging investment in the industries and services where we can command competitive and comparative advantages in the international market. Besides, Nepal should strengthen participation in global investment events by mobilizing Nepali missions abroad. The 2019 summit was a grand success. Now the government should establish effective follow up mechanism by maintaining database of potential global investors, to capitalize on this success.